The environmental Protection Agency is mullling over whether to test food products for glyphosate residues. Glyphosate is one of the most widely used pesticides in the world and public concern has arisen over a possible link to cancer as the International Agency for Research on Cancer (IARC) has released a report classifying it as a carcinogen specifying that that there is sufficient evidence of carcinogenicity based on current existing laboratory studies. IARC’s classification has placed glyphosate in the “probable” camrcinogen 2A group. The EPA released a statement to the news agency Reuters revealing that it is debating as to whether it will begin sampling of products to test for glyphosate products. The ultimate decision will rest with the USDA and the its Pesticide Data Program. USDA spokesman Peter Wood has stated that the “EPA makes the determination which commodities and pesticides are tested.” He said that sampling is based on EPA “data needs” and EPA has so far not requested glyphosate testing on any commodity”. Glyphosate is used on corn, soybeans, sugar beets and other crops genetically altered to withstand it. It is also used by farmers growing wheat and other crops. Its use has surged with the advancement of genetically engineered crops. 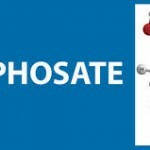 The USDA was widely criticized by concerned environmentalists and grassroots activists when it tested for about 400 different pesticides on a variety of foods as well as in groundwater and drinking water but completely excluded glyphosate in its testing. 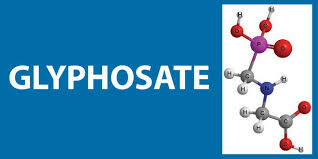 It was only in 2011 that the agency conducted one test for glyphosate. Those tests, on 300 soybean samples, found 271 of the samples had residues and most fell below the EPA tolerance level for glyphosate. ← Serotonin, (brain neurotransmitter), produced in gut by gut bacteria.